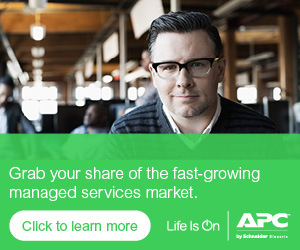 Edge computing offers significant opportunity for APC by Schneider Electric partners because it promises the creation of numerous small data centers or server closets that will all require some or all of the same sort of infrastructure as larger data centers, including racks, power, cooling and control software. It’s a good idea, then, for partners to have a handle on what edge technology is all about, including what’s driving companies to use it and the benefits they derive. In the first example, edge computing may involve placing a series of caching devices at strategic points in the network, close to large groups of end users. The idea is that content is streamed once from its source to each of the caching devices, and then from there to end user locations. That saves significant amounts of bandwidth across the network while also dramatically improving response time for end users. In an IoT environment, it’s sort of the same idea in reverse. As numerous devices generate data, rather than all of them sending it to a central collection point, they instead send it to a nearby aggregation point where the data is collected and stored until it’s eventually sent to a central data center. Finally, in a cloud environment, edge computing can add resiliency and improve performance. Typically, a cloud application runs in a single, centralized data center. Should any sort of outage occur, all users of the application are out of luck. Using an edge architecture, companies can replicate some or all of the edge application at various points around the network to improve resiliency and response times. Or, edge may be used as a way to employ cloud-based storage facilities with on-site applications. Depending on what companies are trying to accomplish, they have a few options for how to implement an edge architecture. The most basic level involves devices or appliances that fulfill a specific purpose, such as running a building security system, storing local video content or acting as a cloud storage gateway. Such devices are simple to deploy and are a fit for home or small office applications. A step up from there is to employ small, micro data centers of 10 racks or fewer. These can be pre-engineered, configure-to-order systems that are assembled on site or fully prefabricated micro data centers assembled in a factory in a single enclosure. Here the opportunity for partners becomes greater, as such a setup involves significant data center infrastructure. A third option is to employ a series of larger, regional data centers with 10 racks or more. Such facilities will need largely the same infrastructure as a full-blown data center, just on a smaller scale. Clearly, the partner opportunity here is significant indeed. Don’t let the edge opportunity pass you by.